Check your local Dymocks store for stock. Please note that prices may vary between www.dymocks.com.au and Dymocks Stores. In the Spring of 1974, 2nd Lt. Hiroo Onoda of the Japanese army made world headlines when he emerged from the Philippine jungle after a thirty-year ordeal. Hunted in turn by... [PDF] No Surrender: My Thirty Year War by Hiroo Onoda Download No Surrender: My Thirty Year War by Hiroo Onoda The great of No Surrender: My Thirty Year War, you can find in our pdf. Get this from a library! No surrender : my thirty-year war. [Hiroo Onoda]... 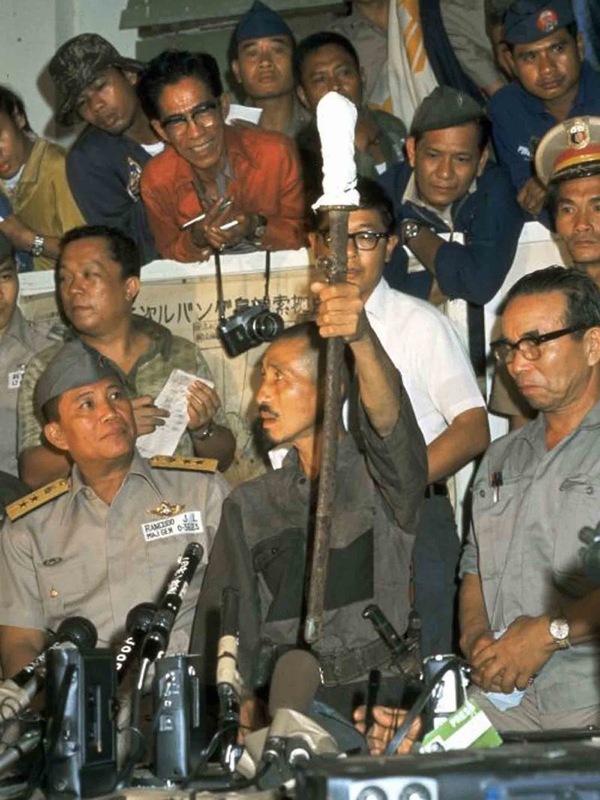 This is the talk page for discussing improvements to the Hiroo Onoda article. This is not a forum for general discussion of the article's subject. The author was a Japanese soldier in World War II that was abandoned on an island in the Philippines near the end of the war. He was told not to surrender until the rest of … linker and loader in system software pdf No Surrender: My Thirty-Year War by Hiroo Onoda 1999 EPUB 1.17MB In the Spring of 1974, 2nd Lt. Hiroo Onoda of the Japanese army made world headlines when he emerged from the Philippine jungle after a thirty-year ordeal. Book Analysis: No Surrender Essay Book Analysis: No Surrender. In the spring of 1974, Second Lieutenant Hiroo Onoda of the Japanese army made world headlines when he emerged from the Philippine jungle after a thirty-year ordeal. the surrendered wife pdf download no surrender my thirty year war hiroo onoda Get Read & Download Ebook no surrender my thirty year war hiroo onoda as PDF for free at The Biggest ebook library in the world. Hiroo Onoda – a Japanese official who fought for the Empire –was sent to Lubang Island in 1944, around the end of the war. The orders for his men and himself were never to surrender , get behind the enemy lines, carry out sabotage operations and survive on their own until they received new orders. Hirō "Hiroo" Onoda (小野田 寛郎, Onoda Hirō, 19 March 1922 – 16 January 2014) was an Imperial Japanese Army intelligence officer who fought in World War II and was a Japanese holdout who did not surrender in August 1945.